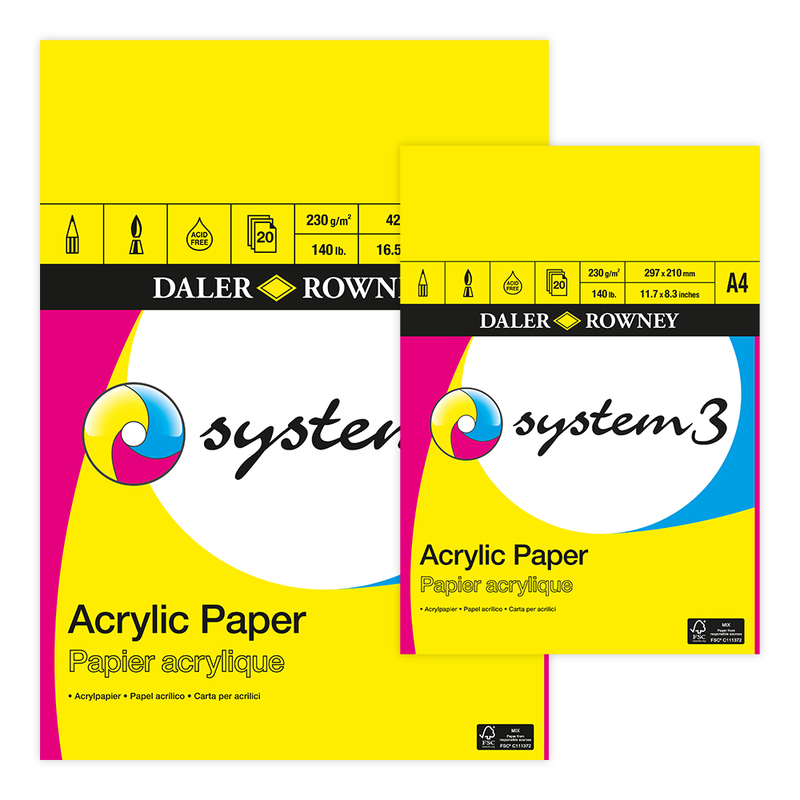 System 3 Acrylic Pads, from Daler Rowney are available in A4 and A3 size and each pad contains 20 sheets. This paper is designed for use with acrylic paint and has a linen textured surface. 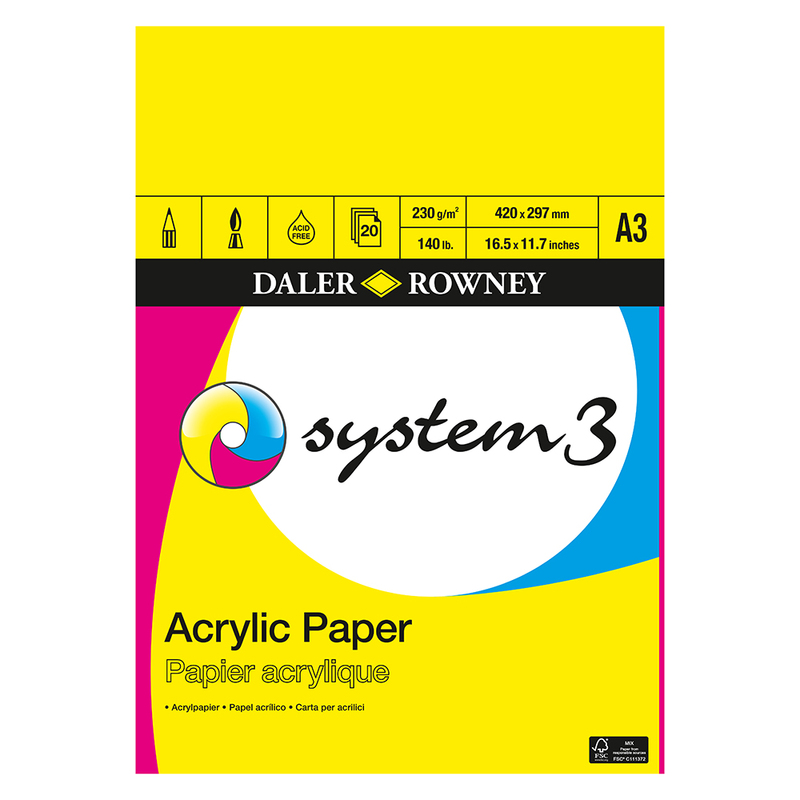 The paper is 230gms in weight and is acid-free to increase the life of your artwork.